I am currently not taking guest posts. This message will disappear when I begin accepting new ones. Do you like technology? Even better, are you a geek? You can guest post here. Read on to know the benefits, guidelines and instructions to write for Right Now In Tech. Yes, you do need to read the WHOLE thing below before you submit a post. Sorry. 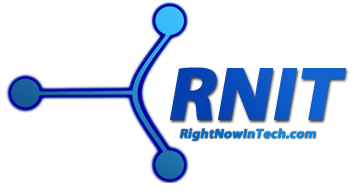 RNIT is a rising blog on the web. Writing posts here should get you more exposure if you write a superb post. You will be able to help people. RNIT accepts tips and tricks that are useful to people. The audience will be learning new stuff from you. You will be helping them. You can have any number of links to your own website unless it looks like blatant advertising (see guidelines). You will make friends with me! Guest posting at Right Now In Tech is different from other blogs. Read on to understand. The most important points that are ignored often are italicized. The post should be exclusive. This is not a site for your own article marketing. Use EZineArticles for that. Please send original articles that are nowhere else on the web. Bonus points if your post has a photo. Please add photos that you have the permission to use. Do not infringe copyrights, or your article will not be accepted. Press photos, company logos, product photos from the manufacturer, website screenshots are okay. If someone asks me to take it down, I will. If you think of using a photo that is your creation, make sure it is of high quality. The article can be of any length, until it is not as short as a status update, or as long as a novel. Again, look around the blog to see the typical length of posts at RNIT. You can add as many links as you want in the posts, unless it really floods the body of the article. You may add as many links to your own website, as long as they are relevant. The article, on publishing, will surely have a prominent link to your site anyway. Grammatical and spelling mistakes are fine. The post will be looked at and edited before it is published. Do not promote services or organizations that endorse explicit content or illegal activity. Tips and tricks, tutorials, lists (or apps, tips for a certain product etc.) are my favorite. News posts don't normally work well. But if you are submitting such a topic, make sure it is extremely fresh. Bonus points for a unique perspective on a news topic. If you put a [Fresh News] label in the subject line of your email, it will speed up things on my side. Do NOT submit topics that are too general. For example, don't write a post about "Speeding up your computer" or "Jailbreaking your iPhone" (unless it's a new jailbreak for a cutting edge iOS version). That is found all over on the web. Write about "Saving laptop battery in Ubuntu" or "Changing the color of the Firefox button". the post should be focused. I get a lot of editorials and opinion posts about the latest thing in tech, but the content is usually the same as posts on so many other tech blogs. If you have a review, make sure it talks about all the good points and the bad points. The review should be detailed. It should talk about all the little things. You should have used the product that you are reviewing. Don't send an article about obscure topics. Most of the traffic to RNIT comes from searches. Only topics that are currently popular will get eyes on this website. Write the post in any document editor. You can save it as a .DOC, .DOCX, .ODT, .PDF or any other popular format, as long as it is editable, or at least can be copied and pasted. Bonus points if it is formatted with HTML tags. Forget about the formatting. The article will be formatted to suit the style of RNIT before it is published. If you want to add links to the post, mark the anchor text (the text that will have the link) with [square brackets, like shown here] and add the URL immediately after the closed square brackets, enclosed in these brackets. When published, the URL link will be added to the text. Add the images you like in the document. It will be good if you email the images in your post separately as attachments in the email too. If it is hosted online, mention the URL in the body of the email. Email the document to me at antriksh@rightnowintech.com as an attachment. Write 'Guest Post for RNIT' in the subject line of the email. Instead of writing an email about a guest post inquiry, directly send the article as an attachment. Emails asking for info on guest posting is just a waste of time. Every post will be read and considered. I will write back to you (maybe in a few days). I'd like to point out to those who are doubtful that there is no country or age restrictions to guest post here, until the quality and gist of the post is acceptable. Just to clear out everything, you WILL NOT get paid for your post. You will get all the credit for it and backlinks to your site, if you like. Also remember that we WILL go over your submission back and forth via email before it is published. The article has to be perfected. Note that the adverts on the site do earn money for me. You can link to your article anywhere you like, as you can to any other post on this site. You may use it wherever you like too, but you cannot use it in a way that it will take away its exclusivity. For example, you cannot copy it entirely on your own site again. It is my choice whether to accept an article or not, and my say will be final. Any copyright infringements or other problems in your article will be solely your responsibility, and I will not take any blame for any problem (maybe even legal).